Hello PMB Friends, this is Michelle here today with a card to share. 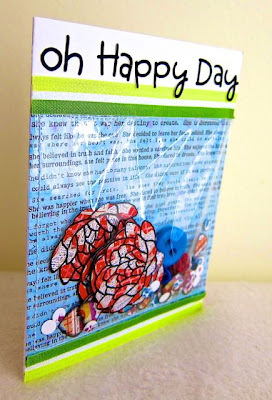 I made a fun, general use shaker card featuring many components from this month's Garden Art kit. 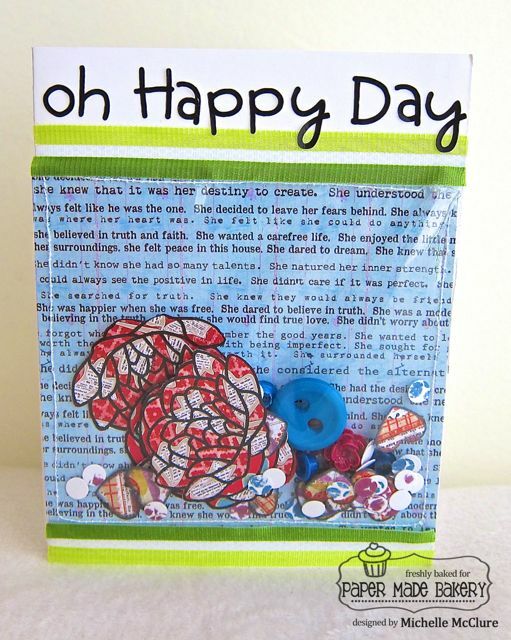 I wanted to incorporate all aspects of the Fresh Baked Kits and today I chose to focus on the plastic bag that holds the embellishments in the kits. I thought that would make a good base for a shaker card. 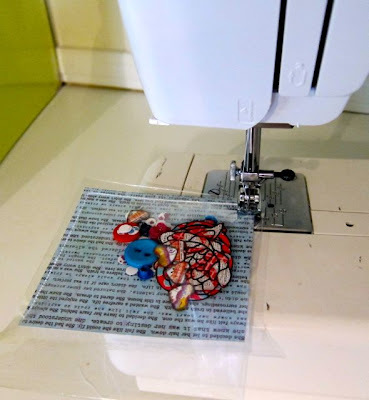 I filled the bag with stamped images that I cut out, punched circles and hearts, and other embellishments from this month's kit like the buttons, eyelets and resin flower. This is actually the last project I made with my kit, although it isn't the last one I'm revealing. A shaker card is a good way to use up all the bits and pieces leftover from a kit, so you won't feel like you are wasting anything. I stitched the bag onto a piece of patterned paper and trimmed off the overhang of the bag. I adhered the paper to my card base so the stitching wouldn't show on the inside of the card. I decorated with two strips of ribbon and spelled out my sentiment with my own letter stickers. You can easily stamp a sentiment or hand write one in. I didn't trust my handwriting at this point when my card was so close to completion so I went with the sticker route. 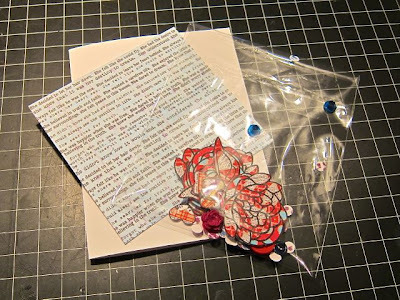 If you are like me and don't want to waste any little scrap of paper or a single embellishment from a kit, then I'd recommend making a shaker card for your very last project. 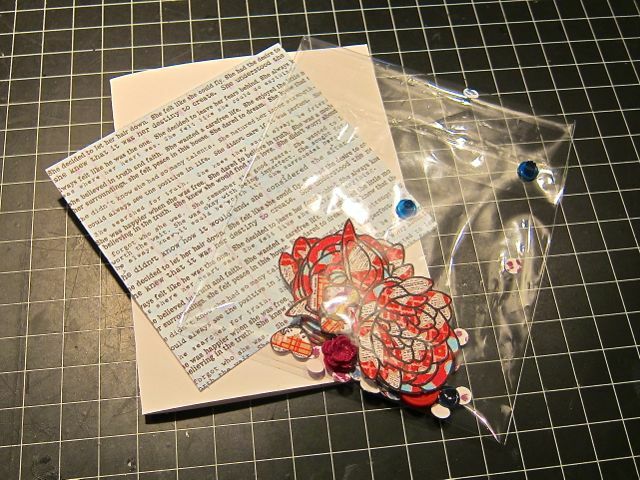 I wraps up all the loose ends and makes a fun and interactive card for your recipient. sooo very clever and fun! Sooooooooooooooo FUN!!! I loveeeeeeeeeeee how you did this!!! GORGEOUS!!!!! So cute and what an awesome idea!! Love it!! What a cool idea! TFS and have a great weekend! How clever!! I haven't seen a shaker card in a while and this is really cute!! Go you! that's cute, i love the movement!